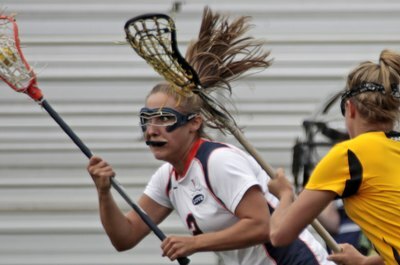 Towson's Katie Cloud, right, keeps her stick high while defending an attacker. Lacrosse may be North America’s oldest sport, but it’s only recently gained widespread recognition in the United States. Once very popular among Native Americans, lacrosse is currently played by more than 680,000 competitors in the United States, according to a 2011 survey. More than 260,000 girls and women play lacrosse, with approximately 2,000 high schools and 350 colleges sponsoring female teams. Among the 12 players on the field, three of them -- the point, coverpoint and third man -- are dedicated defenders, while the center and two defense wings also help stop opposing attackers. Assume a well-balanced, erect stance with your knees flexed and your feet shoulder-width apart when you’re marking an attacker. Keep your feet moving, even when the player you’re defending remains in position. Keep your arms away from your body so you can move your stick easily and quickly in any direction if the ball becomes loose, or if an opportunity to intercept a pass arises. Approach your opponent within a foot or two when she receives the ball, keeping your stick high. Keep both hands on your stick. Take short, quick steps when you’re marking an attacker, rather than long strides, so you can change direction quickly. 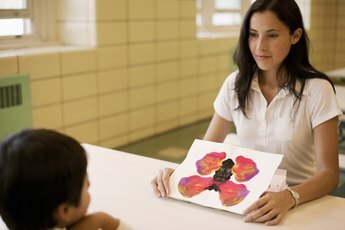 Use effective body positioning, depending on the situation. 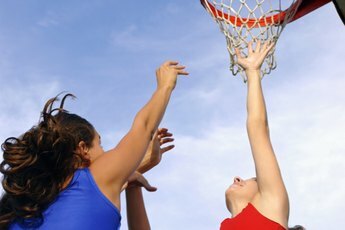 If the opponent has the ball far from the goal and is looking to pass, try to block her passing lanes. If the attacker with the ball is in motion, try to force her to move in a specific direction. For example, if the attacker is right-handed, overplay a bit to her right, forcing her to move toward her weaker side. She’ll be a lesser scoring threat on her weaker side, and is more likely to drop the ball when she’s handling it on that side. Check an attacker legally, using a quick motion with your stick. Jab at the attacker’s stick near the pocket, then pull your stick back after contact. Try to check her stick when she’s bringing the ball forward to have a better chance of knocking the ball loose. 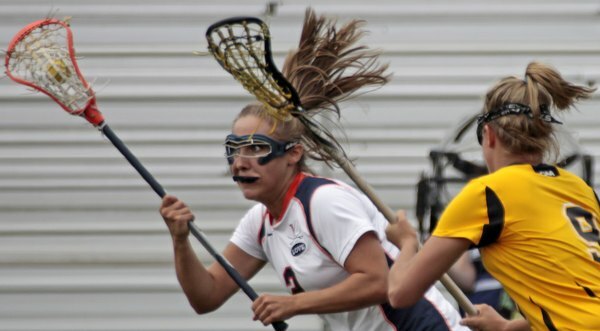 Unlike men, women’s lacrosse defenders can’t use a longer stick. All women’s lacrosse players other than the goalkeeper use sticks with the same size limitation. Cross-checking is illegal in women’s lacrosse, as is any intentional body contact. You may not use your stick to hit an attacker’s stick between her hands, nor can you place your stick within 12 inches of an opponent’s head. Women lacrosse defenders also cannot check from behind. YouTube: Do You Know the ABCD’s of Defense?